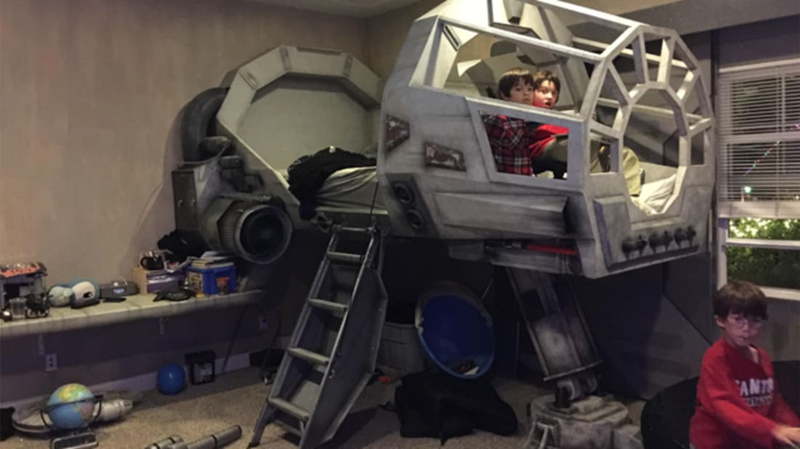 Putting in his bid for father of the year, Pete McGowan of PlainJoe Studio built a replica of the Millennium Falcon’s cockpit for his son—to sleep in! The out-of-this-world bed was made mostly with found materials. When the progress image was posted last year, they said the building costs were around $250. Apparently the whole room is going to be Star Wars-themed. If the bed is any indication, it's going to look pretty cool.